2350 ltr integrally bunded diesel dispensing tank. This is a double skin tank – a tank within a tank. It fully complies with current legislation governing the storage of oil. 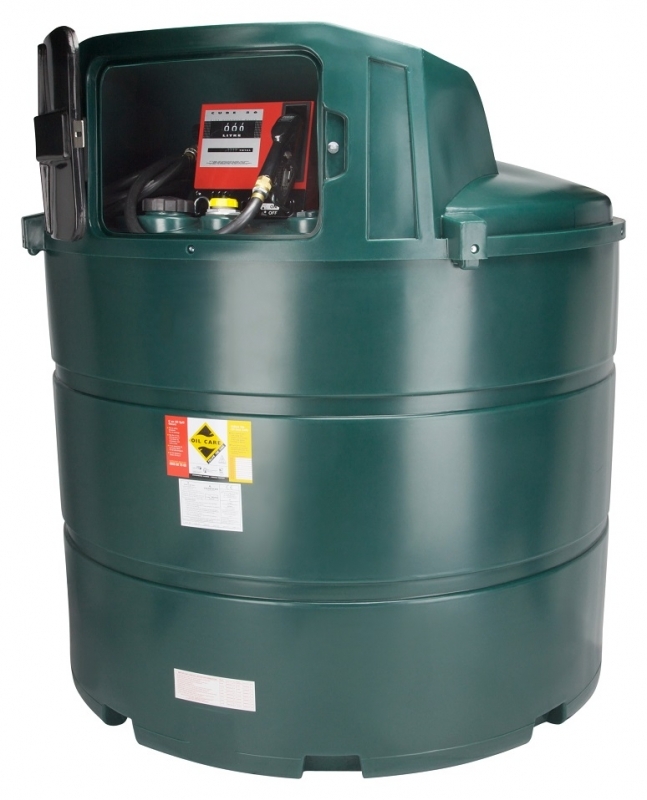 It features a 2” fill point, a 4” inspection hatch, a lockable door, a contents gauge, a pump, a water and particle filter, 4 metres of 1” hose and an auto shut off nozzle. There are several pump speed options available and we would advise you to consult with our sales team to assist you on which option would best suit your need.